Addison Kane does not want for much. With a touch equaling that of Midas and a confidence overstepping the borders of arrogance, Addison’s ability is vast, yet her focus is narrow. Her vision tunneled by haunting memories of her youth, she is blinded to the peripheral. She doesn’t care that life is passing her by. She doesn’t notice as friends fall to the wayside, and the finery that comes from wealth holds no importance for Addison is single-minded. Her goal is the ultimate of paybacks. She needs to succeed like no other before her and prove someone wrong. Joanna Sheppard lives a simple life because she can afford no other. At the age of seventeen, her father falls ill, and for the next eleven years, Joanna’s sole focus is providing for the only parent she has ever known. For the man she loves with all her heart, she gives up her dreams and doesn’t look back. She goes about her days with no complaints, working three jobs so she can pay off her father’s creditors, but there is no light at the end of Joanna’s tunnel...or so she thinks. 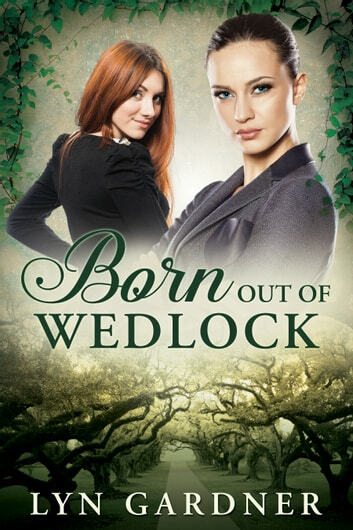 When an edict from the grave threatens all Addison holds dear, two women from two different worlds are brought together, and a deal is struck. In exchange for uttering a few words, both get what they need...but not what they bargained for. There is a thin line, as they say, but when it is crossed, can love survive when more family secrets are revealed? I don't normally do reviews but this book was worth it. I found myself so absorbed in these characters that I was feeling a real range of emotions through out the whole story. This is the first and only book that has ever brought me to tears. I enjoyed reading this and appreciate the well developed characters, but the plot became contrived. Book really held my interest. Each chapter holding my attention I could hardly put it down, and when I did, my thoughts were when could I sit and read more. I will definitely read more of her books. My emotions were stirred repeatedly while reading this book. The author included humor at every turn.